Motorola unveiled the Moto Z3 yesterday, but instead of getting fans excited, it caused quite a disappointment. Except for the 5G Mod, the Moto Z3 represents a minimal upgrade over last year’s Moto Z2. It’s even powered by the same processor, the Snapdragon 835 and costs less than the middle-range Moto Z3 Play ($499 vs $480). But it’s okay. A more powerful Moto Z3 Force is coming, right? A flagship to compete with the likes of the Samsung Galaxy S9 and iPhone X. Unfortunately, Motorola seems to have taken a break from making premium smartphones. On Twitter, the company said it won’t be launching any more Moto Z devices this year. Which means, we’re not going to see a Moto Z3 Force. Is Motorola done with premium phones? But the move might make sense if you consider the fact that Motorola’s success as a smartphone brand comes from its middle-to-low range devices. 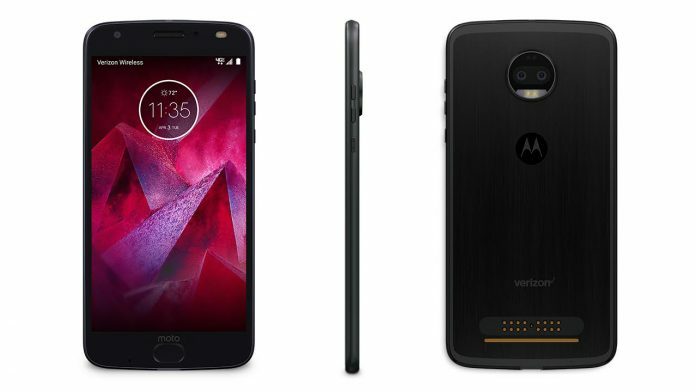 According to statistics, the Moto Z2 Force was a pretty big failure. Data revealed by BayStreet Research in November 2017, a few months after the phone went on sale, showed that AT&T sold only 10,000 units through the end of October. But if you’re currently sporting a Moto Z2 Force right now, you’d better hang on to it, as you won’t see another Motorola flagship any time soon. The device is still available for sale from various retailers and carriers. In case you might have forgotten, the Moto Z2 Force takes advantage of a 5.5-inch P-OLED display with a QHD resolution and standard 16:9 aspect ratio. Like the Moto Z3, the Moto Z2 Force relies of a Snapdragon 835, combined with up to 6GB of RAM and 128GB of storage. With dual-cameras on the back and upgradable to Android Oreo, the one-year-old flagship is still a pretty great device. Especially since you can get it for as low as $408.